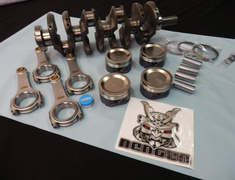 The HKS SR20DET 2.2L stroker kit dramatically improve torque and capability for high horsepower and was used by HKS in the D1 GP. 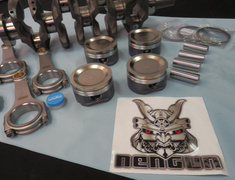 - Forged piston kit (nickel plated & piston surface has a final molybdenum coating). 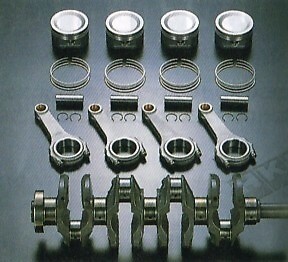 - H cross section connecting rods. 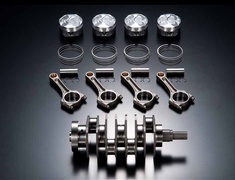 - Fully forged & balanced counter crankshaft. 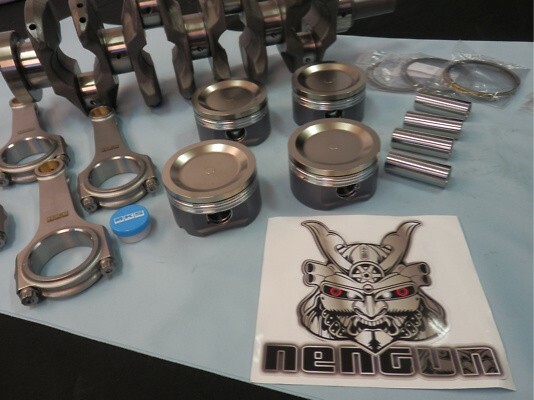 Nickel plating is performed on the piston surface which includes the piston ring grooves. This prevents engine knocking during high combustion pressure which will damage the piston & cylinder walls. The piston is then finally coated with a friction reducing molybdenum layer. This improves piston to cylinder wall contact, and minimizes frictional losses. A huge weight saving is acheived with the use of H cross-section beam for the connecting rods (Factory con rod weighs at 666 grams, HKS forged conn rod weighs 575 grams, a 16% weight reduced). 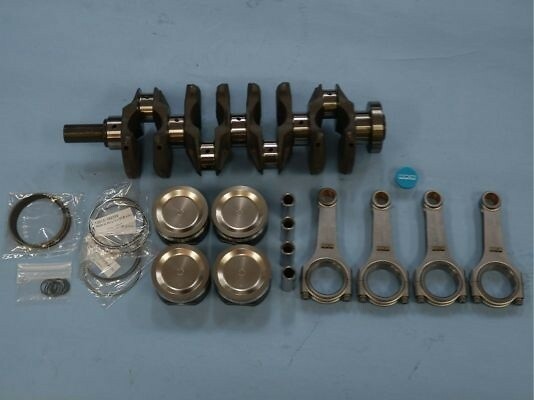 It is extremely light and strong compared to the factory item, and other aftermarket performance crankshaft available in the market (other aftermarket performance crankshaft weighs at 18kg, factory crankshaft weighs at 17kg, HKS crankshaft weighs at 16kg).